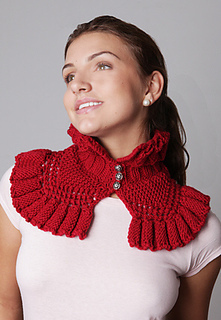 This stylish collar is a quick one skein project, although it looks quite challenging. 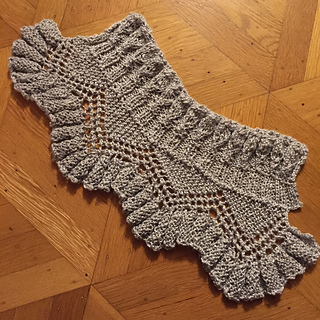 You may use any Aran weight yarn. 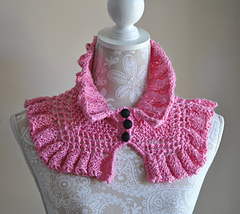 The pattern is knitted top down, starting with the first ruffle. 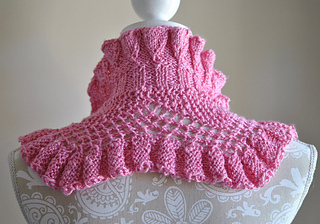 In the centre you will knit a few rows in 2x2 ribbing. 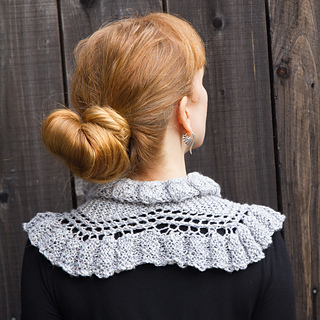 The last ruffle is knitted sideways and joined to the main section as you knit. No sew, no stitches to pick up. Note: As English is not my first language, if you see any mistake or something that is not clear, please let me know.